With those words, member Pat Hom captured the universal feeling on July 8 among those attending Ashby Village’s first open house at its new headquarters, introducing the space – newly refurbished by a task force of members and volunteers – to more than 250 attendees, including members, volunteers and 115 guests. 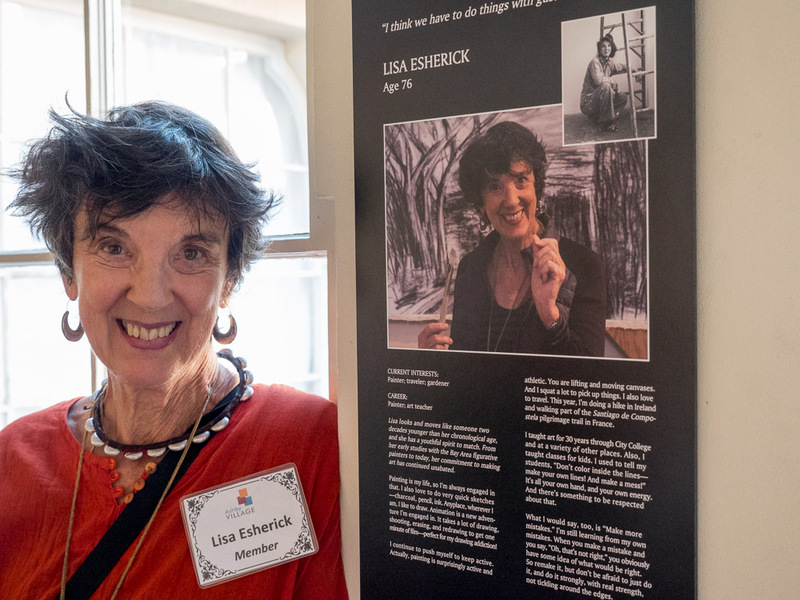 As part of the festivities, the village unveiled the first exhibit in The Village Gallery, a space adjoining the offices that will showcase, in rotating exhibits, the artistic talents of members for its own community and the public. The inaugural exhibit, entitled “Reframing Aging,” featured short profiles of 12 Village members, captured by photographer and village volunteer Nancy Rubin, with accompanying texts – mostly resonant excerpts from interviews conducted with the profiled members by author and volunteer Cynthia Overbeck Bix. The layouts, including youthful photos of the subjects, were designed by volunteer Maria Reeves. The exhibit will be moving to Berkeley Public Library - North Branch after it closes in mid-September. It can also be seen online, without Reeves’ layout, at www.ashbyvillagegallery.org . Ashby Village Executive Director Andy Gaines and board member Laura Peck welcomed everyone to the new space. 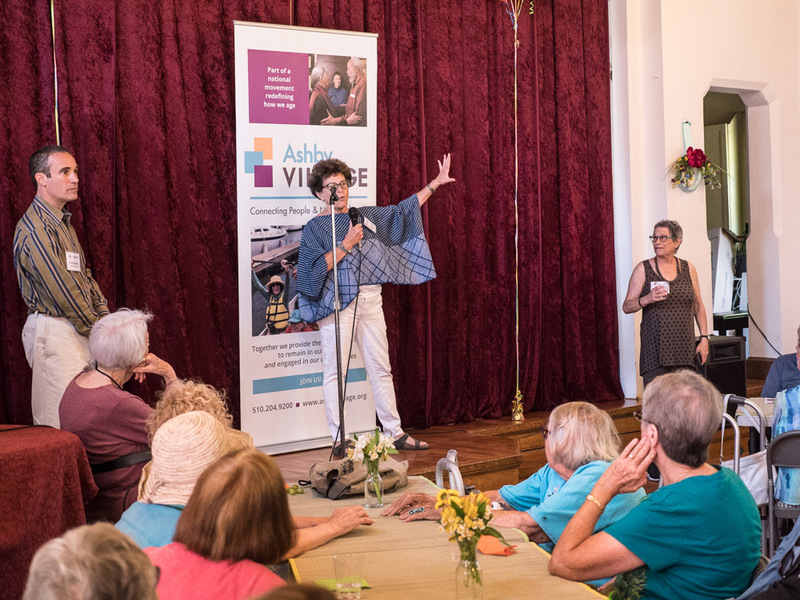 Other speakers included Stefan Elgstrand, the assistant to the Mayor of Berkeley, and Leah Talley, the Manager of the City of Berkeley Aging Services. Both expressed the city’s support for Ashby Village in leading the way to making Berkeley an age-friendly city. 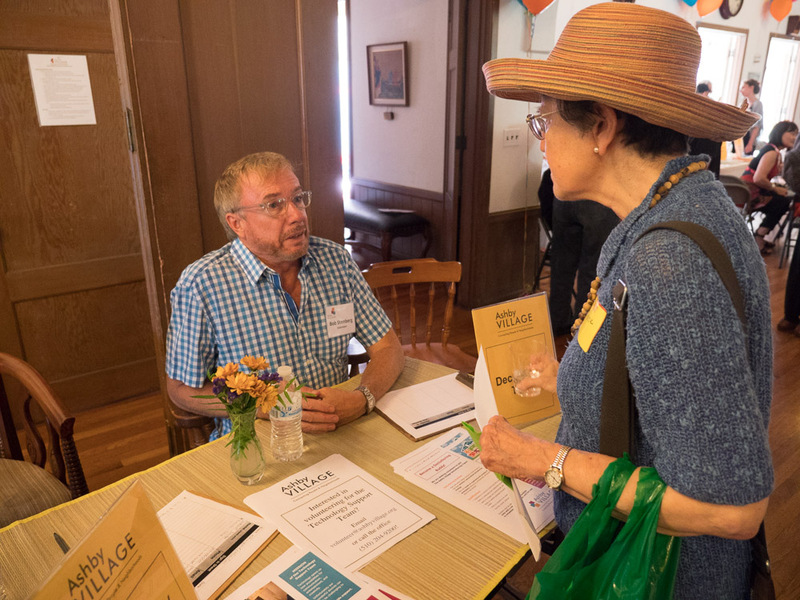 The city and the Village will be collaborating on future age-friendly initiatives. The speakers expressed the aspirations of the burgeoning village, but the spirit of the event was shaped by the attendees. “There was a real sense of excitement and community,” Hom summarized. ED Andy Gaines and AV Vice-President Laura Peck.